You’ve chosen the perfect theme, the decorations look incredible, and your entertainment is already setting up back-stage, when suddenly the clouds darken, and the first drops of rain begin to fall – threatening to wash away your event before it begins. Fortunately, rain doesn’t have to mean the end of your experience, there are a few things that you can do to turn things around. After all – of all the things you can control with events – rain isn’t one of them. If you’re aware that you suffer from some relatively unpredictable weather in the location where you plan to host your event, then it might help to have a backup plan in place just in case, plan for an indoor party as well, and host your outdoor event nearby to an indoor location. Or invest in a gazebo just in case. Once again, some of us are fully aware of how unpredictable the weather can be in our home town – if that’s you, then try adding a “rain date” to your invitation. In that case, you’ll be able to pack up and try again on another day if the rain starts to pour, without the problem of having to contact every single person on your guest list. Of course, this is a better idea for those who don’t have to book a venue, and a source of entertainment. If you can’t do anything about the rain, and moving the event to a different time, date, or location isn’t an option, then you may as well embrace the situation. 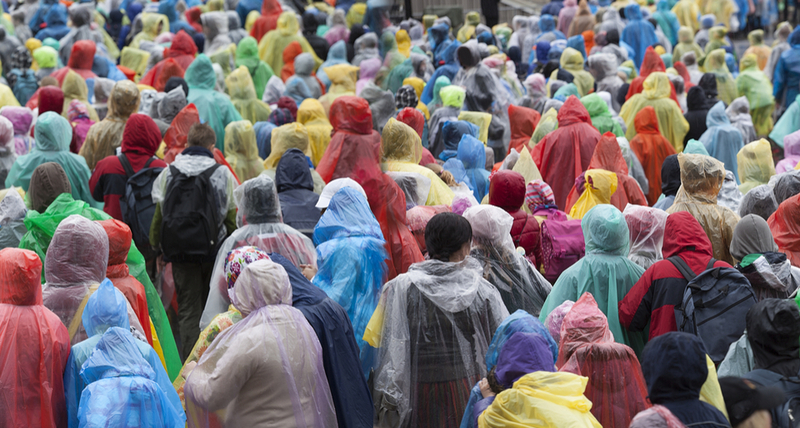 Engage in some rain-based games and allow people to enjoy the rain festival style. Just be sure you have enough budget left over to run to the store and buy a lot of umbrellas for those who don’t want to get wet. In the Uganda of today,indoors is the best way. Me and this article, sitting in a tree, L-RN–E-N-IA–G!